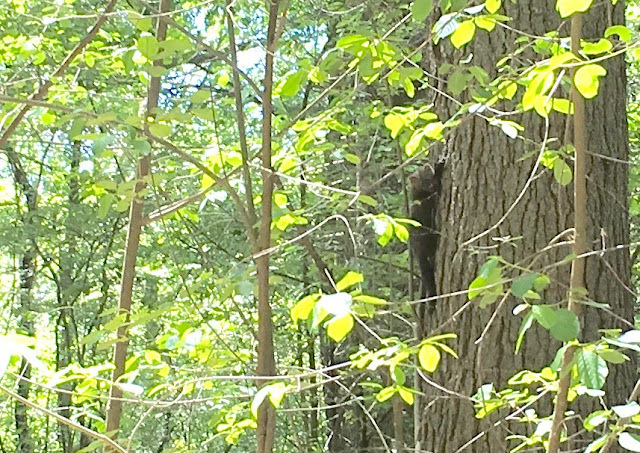 I saw this Fisher on my usual Willowdale ride. He was working on a log, sort of of patting around it. When I came toward him, he climbed a tree and stopped at eye-level, as if to say, "Hey, you really don't want to make me climb this tree, do you?". I got within about 20' before deciding to let him be.